Denise Carley is a middle school teacher. 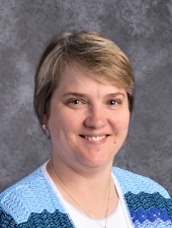 She enjoys teaching a variety of middle school subjects at Central. Denise first came as a fifth grade teacher in 2000 and has since taught every grade from 4th to 8th grades. After completing her degree at Concordia University in Seward, Nebraska, she taught four years at Bethel Lutheran School in Morton, Illinois. She also received her Middle School Endorsement in 2010.